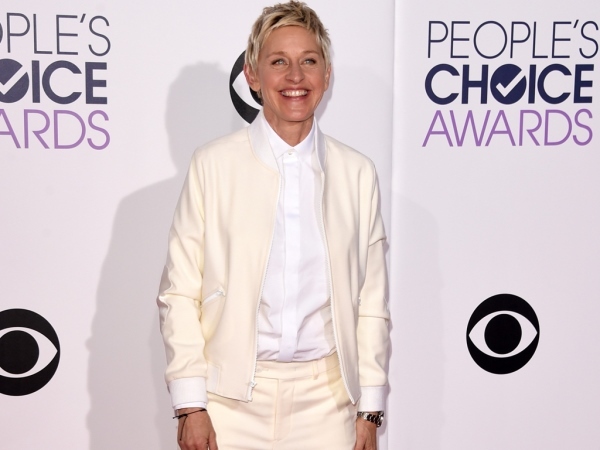 Ellen DeGeneres thinks parenthood is "too risky" for her as she might not like the child. The 57-year-old talk show host is married to Portia de Rossi and has always been open about not wanting to be a mother. While she believes she would most likely be a good one, Ellen insists that's not enough to take the plunge. "I love kids. But that's such a big commitment. And it seems long-term. It seems like a commitment that you have to stick with. And I just don't know if I can - it's too risky. Like, what if I don't like the kid?" she laughed on the Today show. Ellen's day job means she often gets to meet young people who are hugely talented. That is also part of the problem, as it gives her unrealistic standards by which to judge people. "What if it turns out that it's not as cute as I wanted or as talented? I'm gonna compare it to all these kids that I have on this show that are so smart and so funny. And I'm like, 'You are nowhere near these kids I had on today. Sit down and look at this kid I just had on! Do you know all those presidents?'" she joked. Further pushed on the matter Ellen explained she now feels too old to start the process. Her comments are unlikely to stop rumours about children swirling though, which is something else the star touched on. There are constant claims about the state of her relationship, with column inches dedicated to pouring over it. While Ellen understands that comes with the territory of being famous, she insists none of the stories are true. "I'm just more flabbergasted by the fact that someone needs to make up a story. There's never been a point where we were breaking up or divorcing or fighting. None of these stories are even remotely true. I don't know the magazines and I don't have a publicist, so I don't know," she said. "I have a very small team around me... I don't want to know that stuff, so when someone does bring it up to me, I'm like, 'Really?' I don't know how many times they've said that we've broken up, but I know that they have."